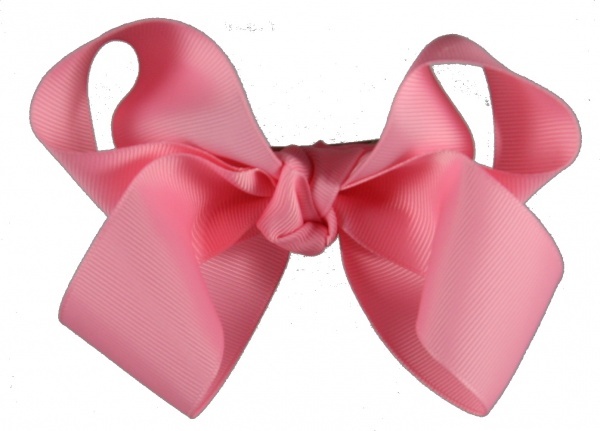 This is a large fluffy pink grosgrain ribbon with 4 large loops and no tails. This is a great bow for those who love big bows. There is 30 inches of this 1.5 inch wide pink grosgrain ribbon that is wrapped in the center with a French knot and on a 2 and 1/4 inch French clip.